A South Canterbury energy network is building fibre internet infrastructure in the Central Otago district, potentially raising the area’s capability for high-speed internet. Alpine Energy is building "dark" fibre back haul which it leases to wholesalers such as telecommunications operators, government departments and big businesses who require high speed and high volume. Wholesalers who lease the fibre from Alpine would "light up" the infrastructure to make it operational. The company already owns networks between Rangitata and Glenavy and a small network in Tekapo. The network from Naseby to Clyde was its next investment, starting the build in March 2017 and finishing in June 2017. The programme in Central Otago began because Alpine won a contract with Transpower to build a fibre network to replace a radio system from the Clyde Dam. Some of the urban town centres would receive fibre under government initiatives but to expand it across the region, Alpine Energy built fibre cables between towns. Alpine’s programme is independent of the Government’s but the company communicates with Crown infrastructure partners on the locations of the network and proposed builds. General manager commercial regulatory Sara Carter said Alpine intended to build a series of larger regional networks in the lower South Island in the next five years. 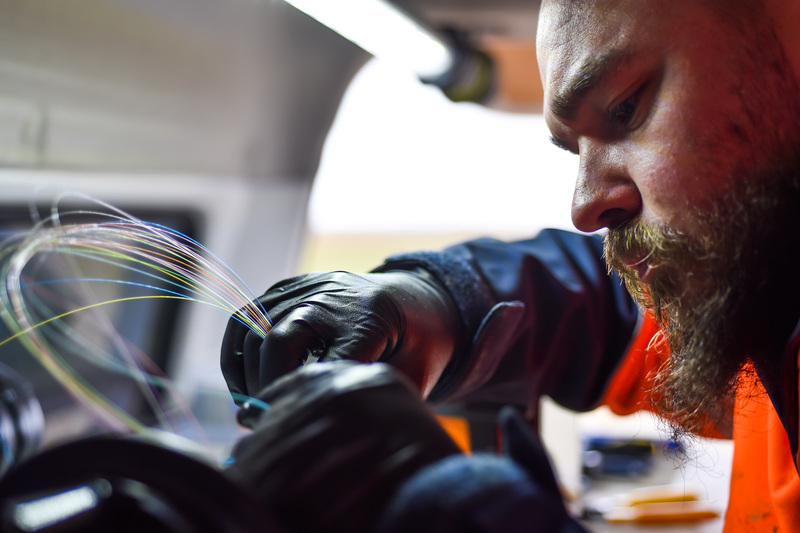 The speed would be determined by the infrastructure that the wholesaler put on the end of the dark fibre to light it up but it had the potential to be faster than the government programme. Transpower was the only wholesaler using the Central Otago network at present but Mrs Carter said she was in discussions with several wholesalers about options. "I don’t think it’s a stupid amount of time away." If a wholesaler was found for a connection from Clyde to Cromwell, a build between the towns would begin soon, she said. Central Otago District Council economic development manager Warwick Hawker said the network could deliver good opportunities for the district. "Alpine’s programme is high quality and a good base for current needs but also for businesses to come here."